Dave was born in Twin Falls, Idaho (USA). He attended the University of Idaho, then Washington State University where he received his BS in 1959 and DVM in 1961. He did his graduate work at the University of Wisconsin under Professor Robert P. Hanson and received his MS in 1964 and PhD in 1965. 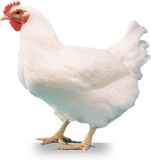 Dave is a Founding Diplomate of the American College of Poultry Veterinarians and a Diplomate of the American College of Veterinary Microbiologists. He joined the faculty of the University of Wisconsin in the Department of Veterinary Science. During this time, Dr. Hitoshi Kawamura, who had joined him as a post-doctoral fellow, isolated a herpesvirus from turkeys which was used as the first successful vaccine for Marek’s disease. Dave served in the U. S. Army at the Meat and Dairy Hygiene School in Chicago, Iliinois. Dave joined the faculty of the University of Georgia in 1969 as Director of the Poultry Disease Research Center, which later became the Department of Avian Medicine. His research there and at Wisconsin was devoted to environmental effects on avian respiratory diseases (Mycoplasma, Newcastle disease etc.) The use of turkey herpesvirus as a vaccine became a major effort at Georgia. The Master of Avian Medicine degree program was initiated by the Department of Avian Medicine in 1970; over 100 graduates are now serving the poultry industry worldwide. He became the Associate Dean for Research and Graduate Affairs in 1971 and Dean of the College of Veterinary Medicine in 1975. He held that position until his retirement in 1996. He served as Editor of Avian Diseases from 1973 to 1994, also as Editor of the Poultry Disease section of the Merck Veterinary Manual for ten years. He was President of the American Association of Avian Pathologists in 1988 and received their Special Services award in 1991. 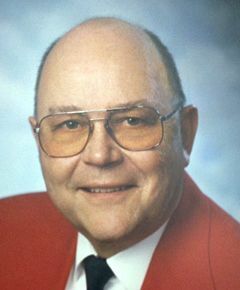 He was named Georgia Veterinarian of the Year in 1980 by the Georgia Veterinary Medical Association. Dave has been married to Gale for 50 years and they have two children, Kathryn and Christopher, and three grandchildren. In retirement Dave enjoys hunting, fishing, taking naps, telling jokes and being politically incorrect.